The ABS system prevents the wheels from locking under extreme braking or in the wet. The sensors on the wheels measure their rotation speeds. 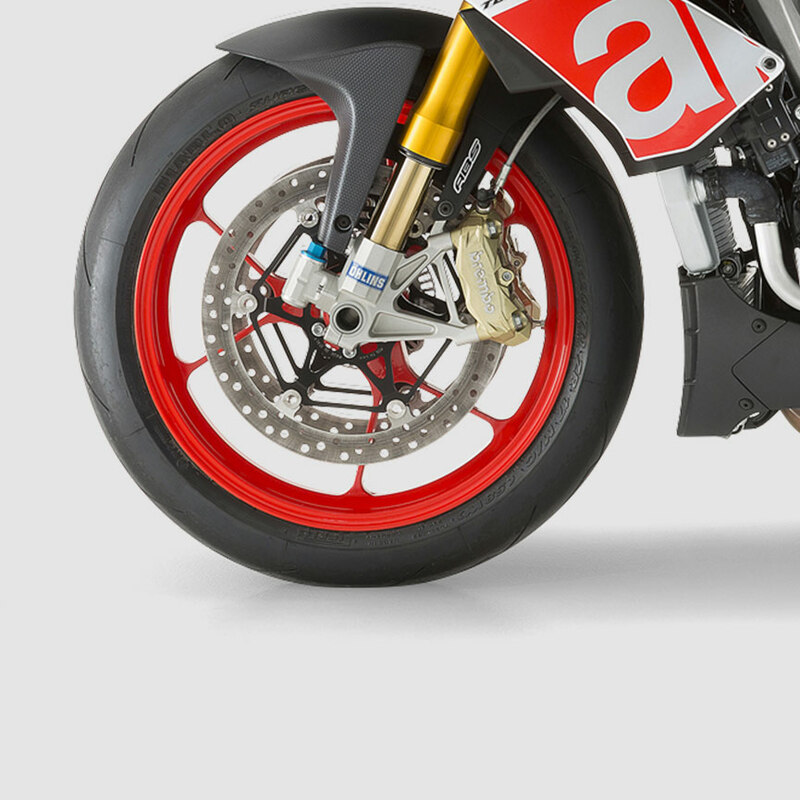 If one wheel is found to be near the point of locking, the ABS system cuts in. The ECU sends a signal to a hydraulic actuator which increases or decreases brake pressure until grip is restored thus preventing the wheels from locking. This provides the best braking possible in relation to the road conditions at that time and ensures stability of the bike as well as rider safety. – Level 2: dedicated to sport riding on the street, it works on both wheels and is combined with an advanced tip oversystem (RLM – Rear Lift-up Mitigation) which has progressive action based on the vehicle speed. Aprilia Cruise Control allows the desired speed to be set and maintained even on uphills and downhills, without touching the throttle control. 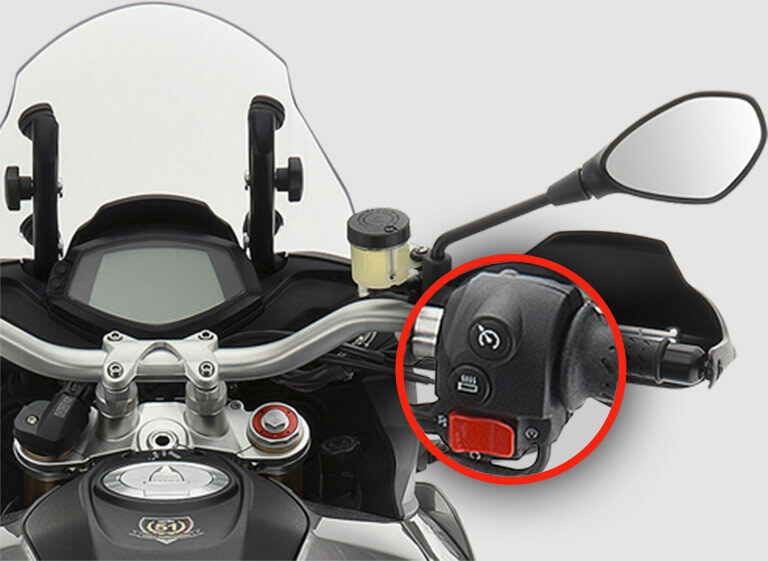 The system disengages automatically if the rider touches any of the brake/clutch Cruise Control commands and is very useful on long motorway routes because it helps save fueland makes the ride less tiring.